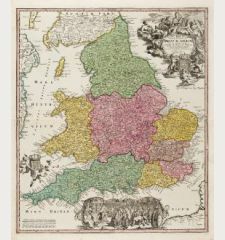 Coloured map of Yorkshire, England. 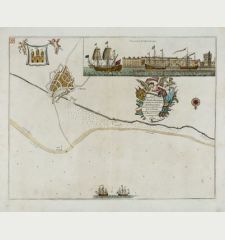 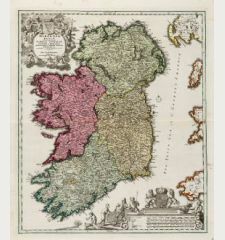 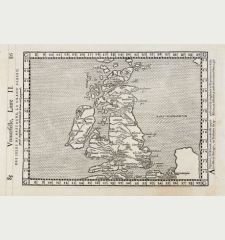 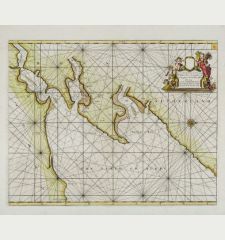 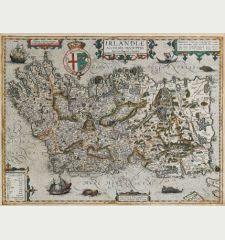 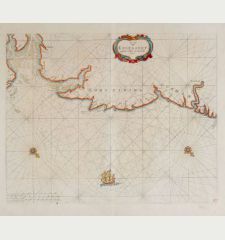 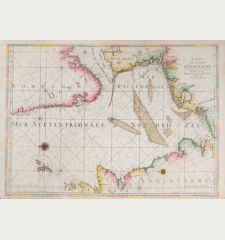 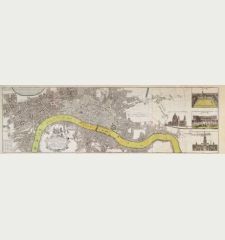 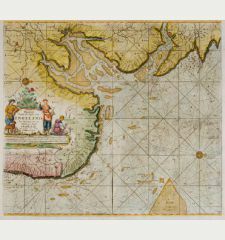 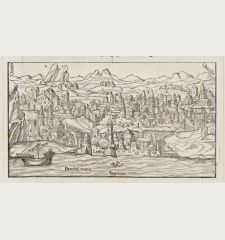 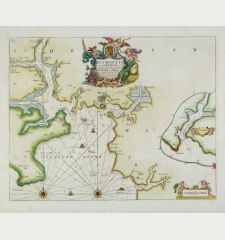 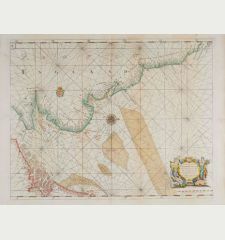 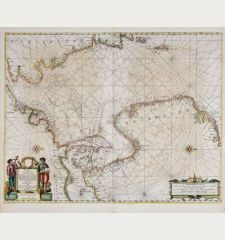 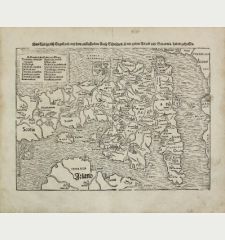 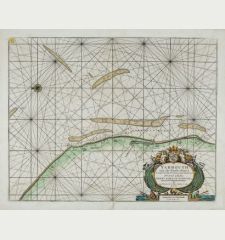 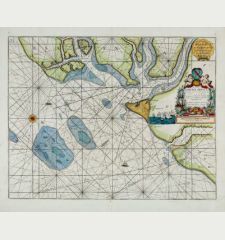 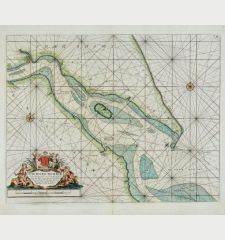 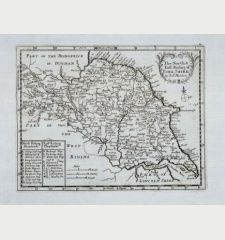 Printed in London by Thomas Cockerill in 1701. 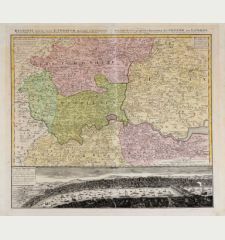 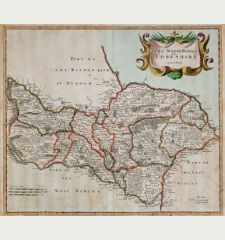 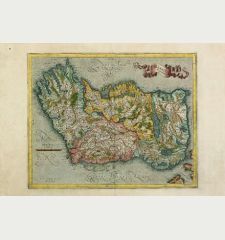 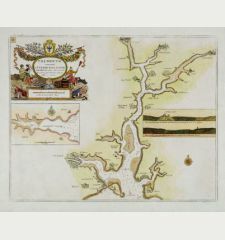 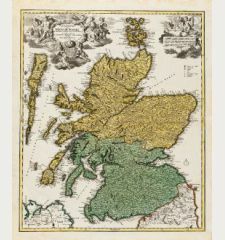 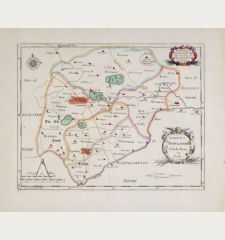 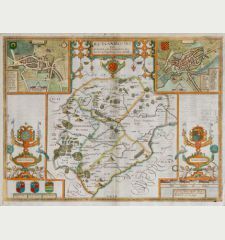 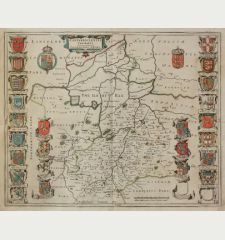 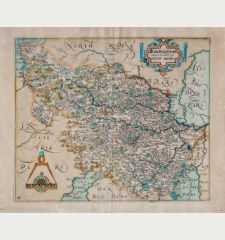 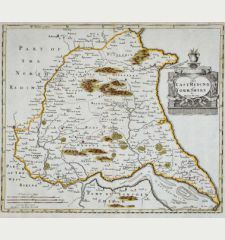 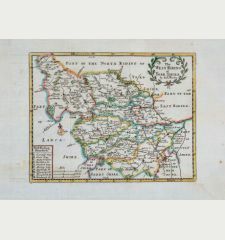 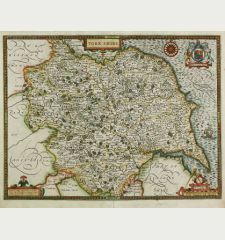 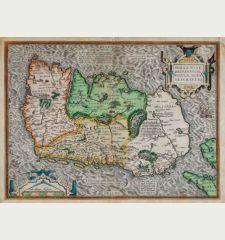 Coloured engraved country map of Yorkshire by Robert Morden from The New Description and State of England, containing the Mapps of the Counties of England and Wales. 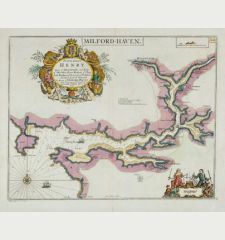 Showing the county with important streets and towns. 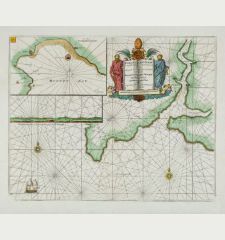 To the upper right a decorative title cartouche. 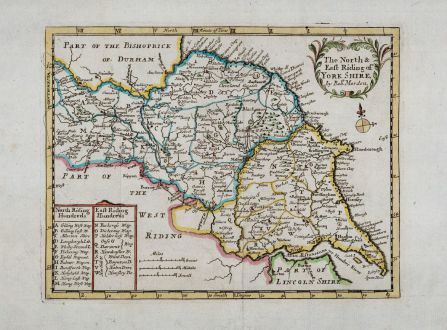 Title The North & East Riding of Yorkshire by Rob. 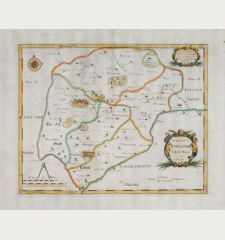 Morden. 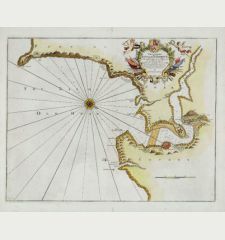 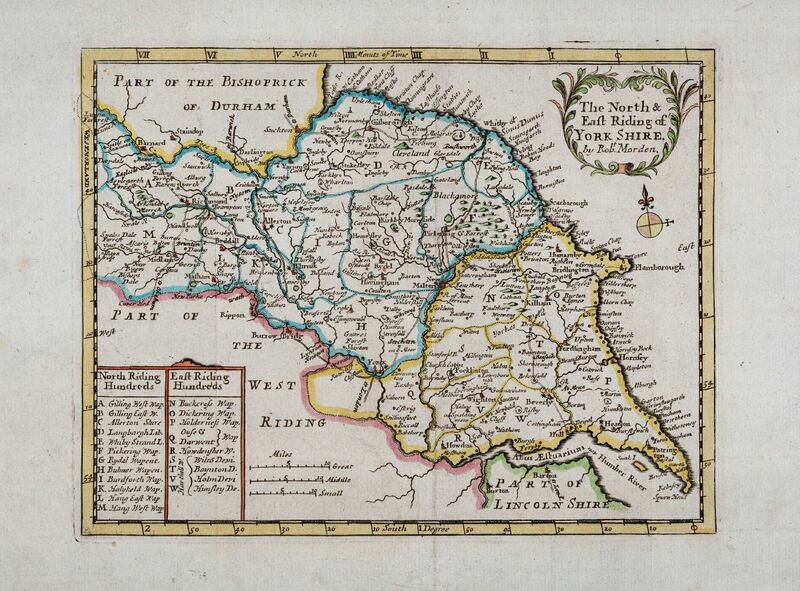 Robert Morden: The North & East Riding of Yorkshire by Rob. 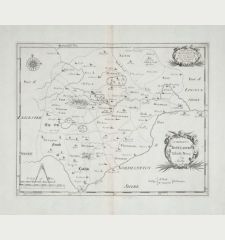 Morden..